In the heart of Lamai Beach. Palm Coco Mantra, a luxury hotel beach front & spa resort in Samui Thailand. This great beach resort is located on a hill that gently slopes towards to ocean, yet privacy and calmness encapsulate this wonderful resort environment. Almost all of the hotel rooms offer panoramic ocean views, infinity-edge pool overlooking the ocean where you can take a break at the cozy pool bar. You may have it all with us in making your perfect stay at Palm Coco Mantra Beach Resort. 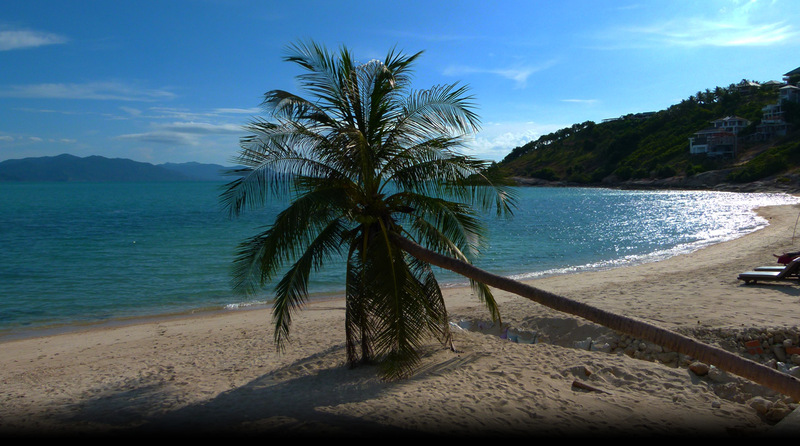 Palm Coco is an oasis of calm and luxury in one of the finest locations on Samui Thailand. Spectacular island, Gulf of Thailand Ocean, sunrise & sunset views are part of everyday life here at Palm Coco, the luxury hotel in Samui. Has 30 square meters of luxury and relaxation; enjoy tropical decor and outdoor terraces with partial sea views and gentle sea breezes. The two twin beds can be converted to one huge bed even large than a king size as well as day beds with private terraces overlooking the sea. Available 1 double bed, Superior Rooms are suitable for 2 persons. Generously spacious with 40 square meters rooms of spacious interiors, enjoy uninterrupted sea views and total privacy, featuring King-size beds, private balcony, LCD Television with DVD set; Additional creature comforts are a larger bathroom with shower. Available with 1 double bed and 2 single bed, Deluxe Rooms and are suitable for 2 persons. Chic and stylish, villa rooms generously spacious with 40 square meters a room provides a cozy atmosphere and offers the ultimate privacy. Relaxing sea views are at their best when enjoyed from the purpose built spacious balcony. Additional creature comforts are a larger bathroom that features a separate bath and shower. Available with 1 double bed, Chic and Stylish, Villa Room are suitable for 2 persons.